What kind of anti pasta fanatic doesn’t like a pro ciutto? Not me. When the cooks at Oliveto prepare their meats, I link up for a cure. Elegantly homey. No dress code here. People arrive in jeans or suits. 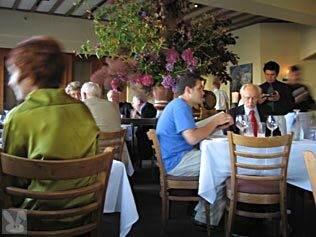 A gorgeous, gigantic flower arrangement is the focal point of the dining room. These guys know their stuff and when they don’t they find out for you. Total pros, they are neither stiff or too relaxed. The rustic bread is custom made for Oliveto by Acme. It has a fabulous crust (that gives those guys who come around with those curvy nail files something to shuffle off the table later) and a chewy, tangy, belly. They have a great wine selection with bottles, glasses, and carafes. They make a few specialty cocktails, but I like to start with a simple glass of the prosecco. There is an informal café downstairs if you want to drop in for a casual bite or glass of wine. They also serve fancy schmancy teas and yummy pizzas. Lightly cured king salmon, densely textured and oily (in a good way) bluefish, delicate black cod, firm, succulent scallop and buttery monkfish liver. Everyone of these was a hit. 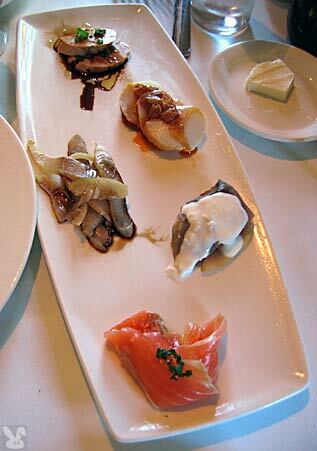 Each of the impeccably fresh pieces of fish was prepared in a way that showcased their strengths. I was a little worried that the garlic dressing would overpower the scallop, but the garlic was cooked to a subtle nuttiness that actually worked well. This was a fantastic salad with concentrated beef flavors, crunch from the toasted almonds and a tangy vinaigrette. 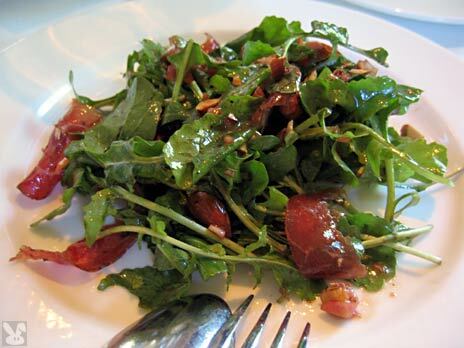 I loved the peppery arugula against the paper thin slices of cured beef. Thinly sliced and served “al diavolo” (with a nicely hot sauce.) 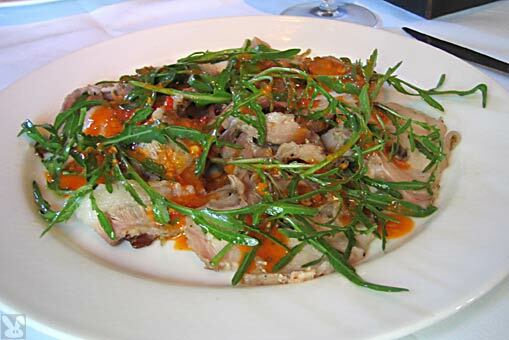 The rich and flavorful meat was accented by the wild arugula. I didn’t feel “arugulaed out” (due to the arugula salad served just before) because this was a different variety of the green. The pork was absolutely delish. They sure know how to coax out flavor from these filthy animals. 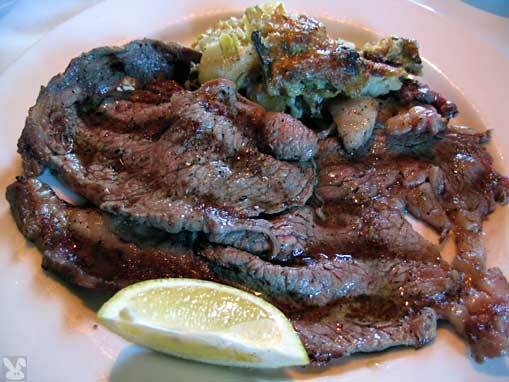 Thin slices of ribeye come drizzled with olive oil, pepper and lemon. This Niman Ranch beef is simply prepared. It would have been easy to overcook this due to it’s thinness, but it was expertly grilled to a smoky, savory perfection. You really can’t do much better than this in the ribeye department. 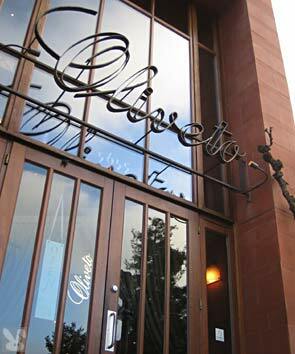 Oliveto has been around the spit two times. 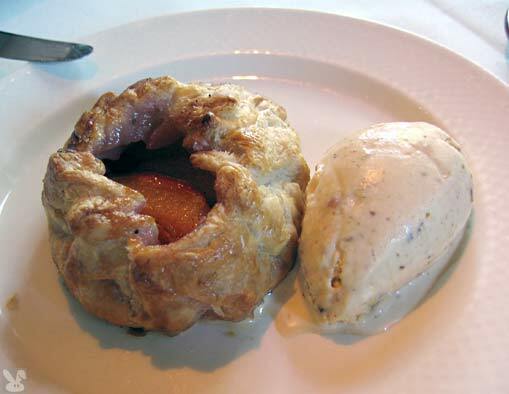 They know what they are doing and do it with top notch ingredients and expertise. Lots of customers means lots of bathroom traffic. I don’t know why people can’t put their paper towels IN the bin. Yes, they could be cleaner, but there are pretty good considering.